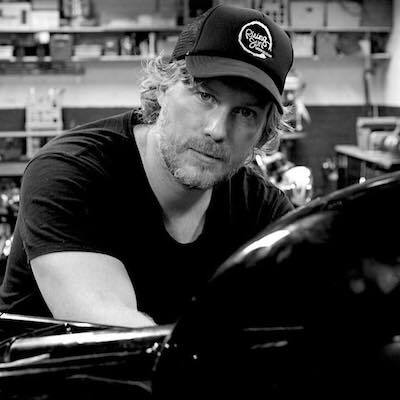 This article was written by Jeremy Hammer. 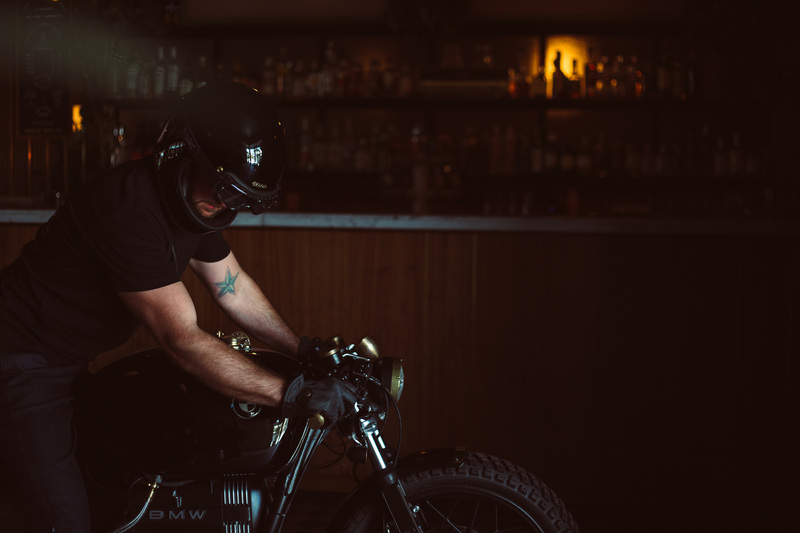 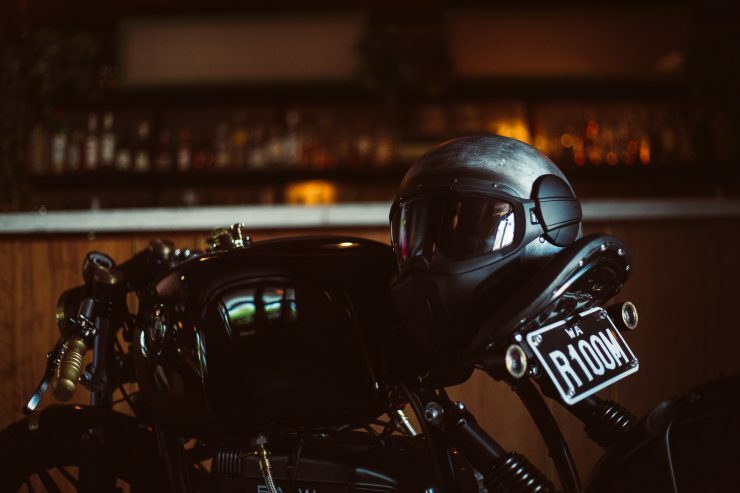 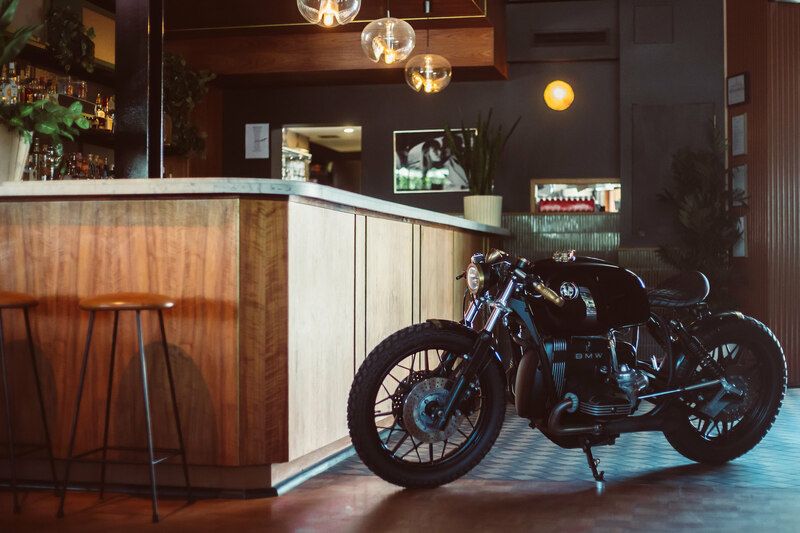 There are generally two types of customers who walk the through doors of Rogue Motorcycles with the intention of a building a custom bike: There’s the type that lets owner Billy Kuyken take creative control and surprise them on delivery, and then there’s the type that know exactly what they want, down to the finest details. 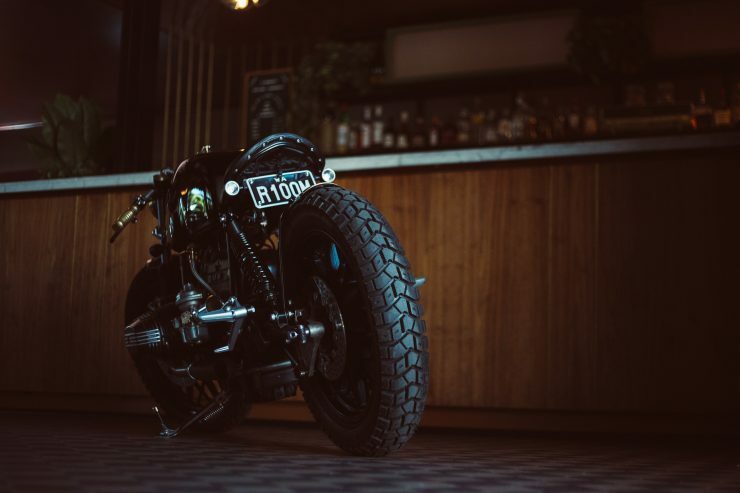 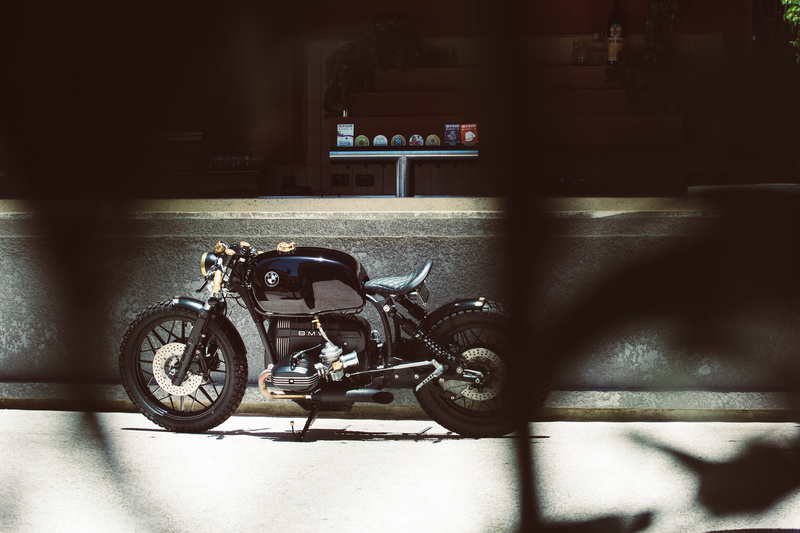 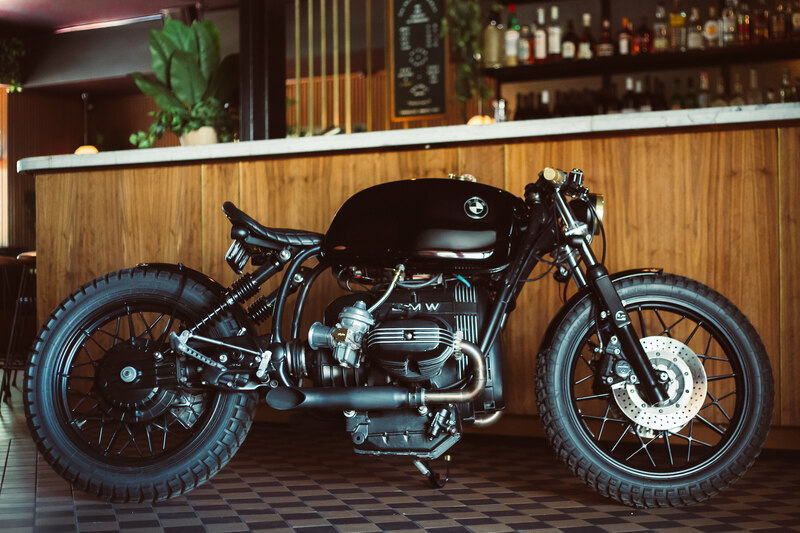 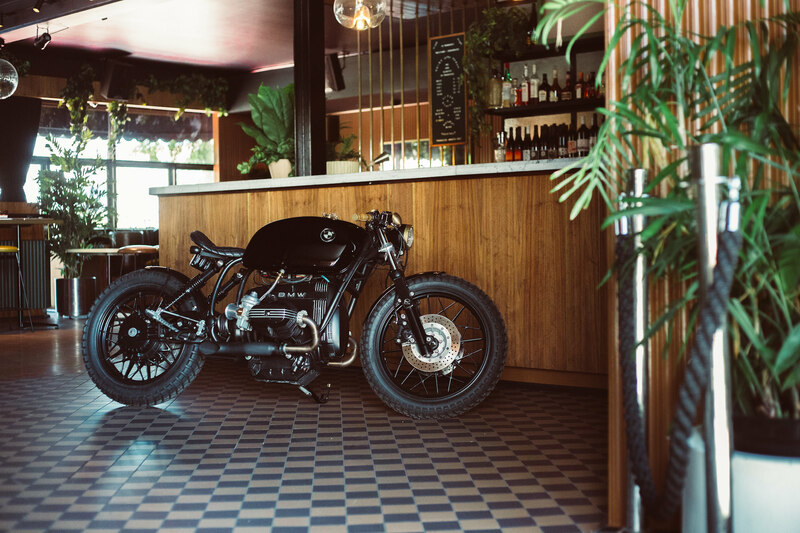 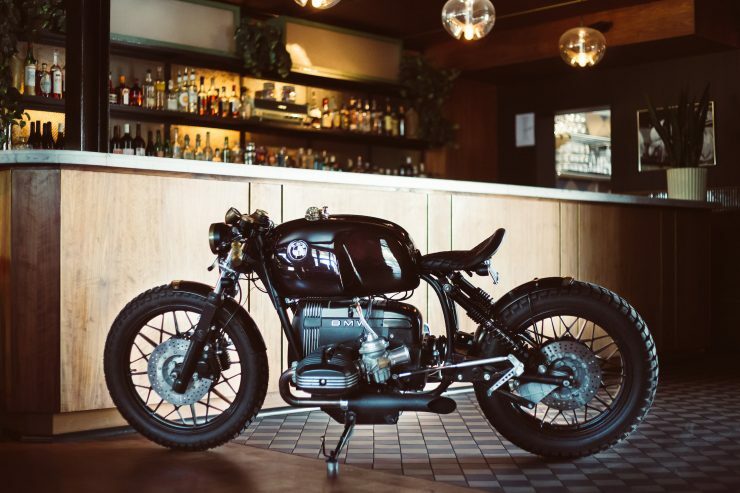 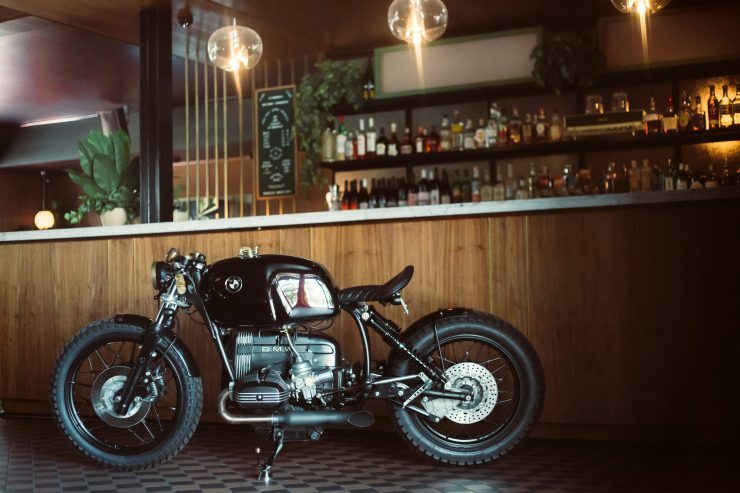 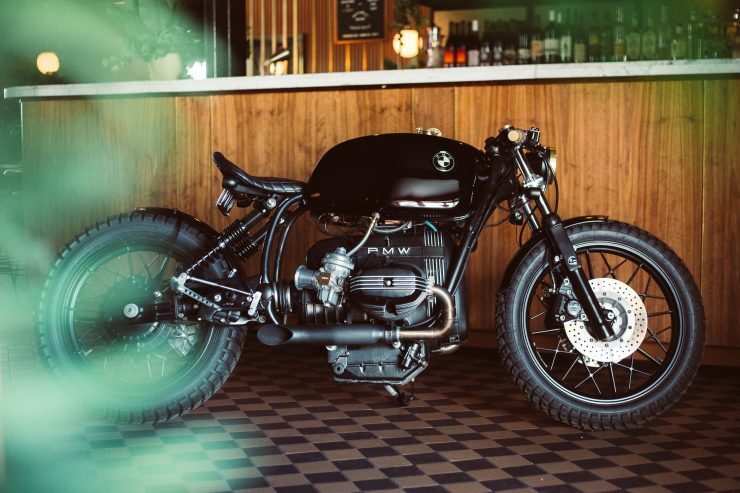 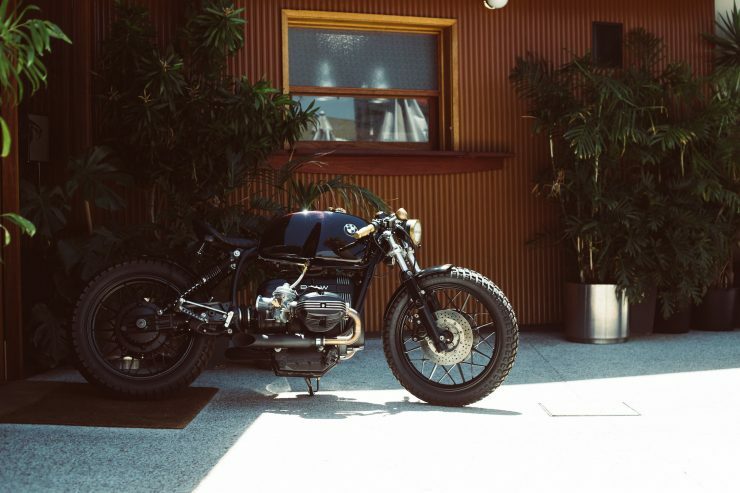 The latter represents the owner of Rogue’s latest build, a mid-1980s BMW R100 RT. 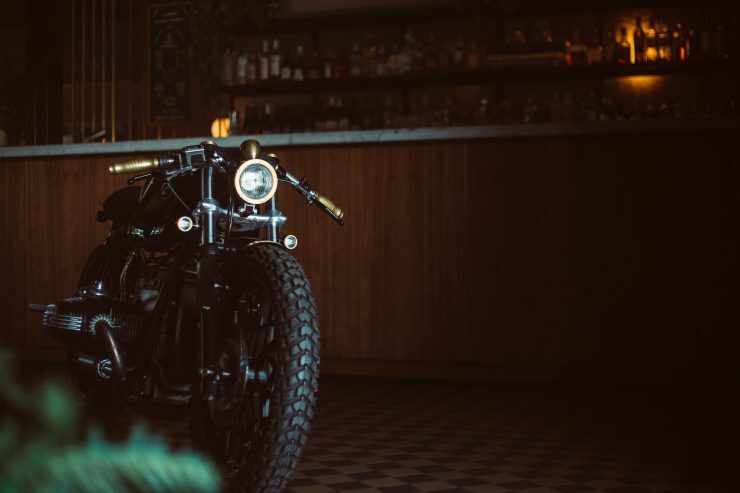 Rolling into the shop in boxes of pieces, and a handful photos of inspiration, a direction was clearly cut from the get-go and a steampunk vibe was established. With everything stripped, Billy immediately commenced the major modifications, which meant cutting off the original subframe and welding on a mini-subframe kit to accommodate the Biltwell Solo seat – a specific request of the customer. 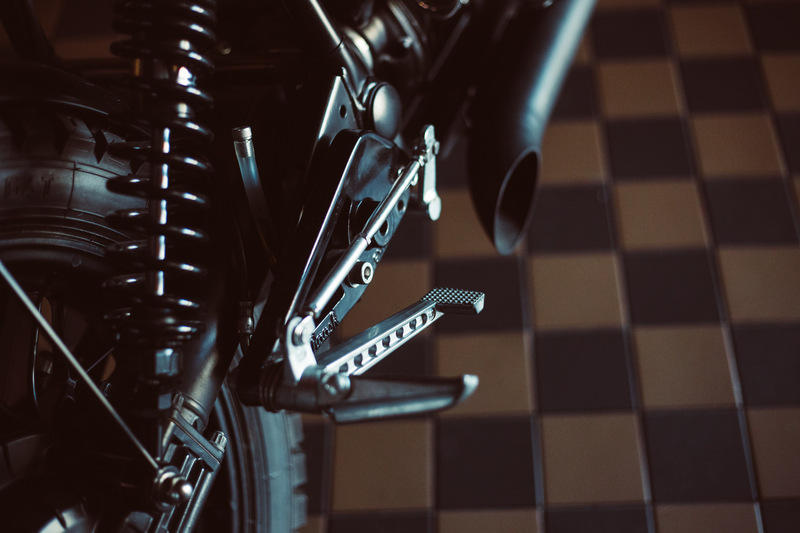 Along with that, the forks were lowered and a pair of YSS shocks have been fitted, creating a provoking stance within the former tourer. 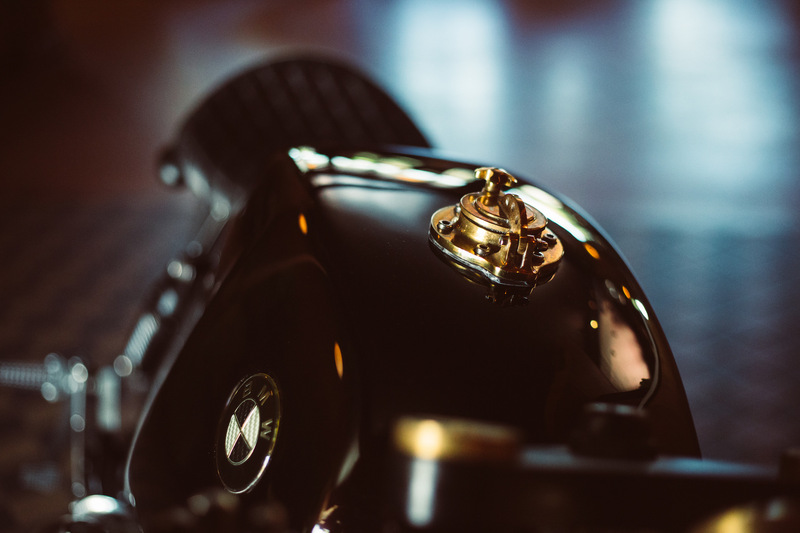 The character of the build really falls into the endless amount of minor details, and the ever-so-obvious brass features. 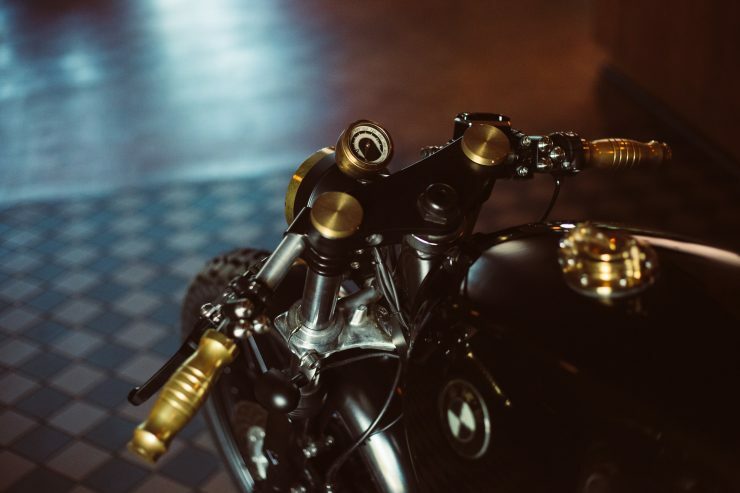 The fuel taps, made by Lowbrow Customs, have been modified to fit along with the braided hoses, while the brass caps on the triple clamps and brass trim on both custom fenders are one-off CNC machined pieces. 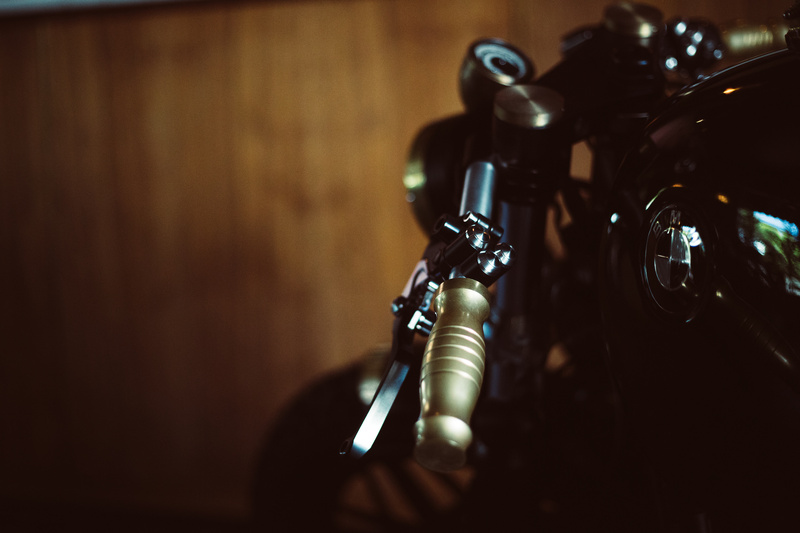 The five-line cutouts in the brass trimming have actually been created in unison with the brass grips, which also feature the same pattern, showcasing the in-depth thought and creativity Billy instills in his craftsmanship. 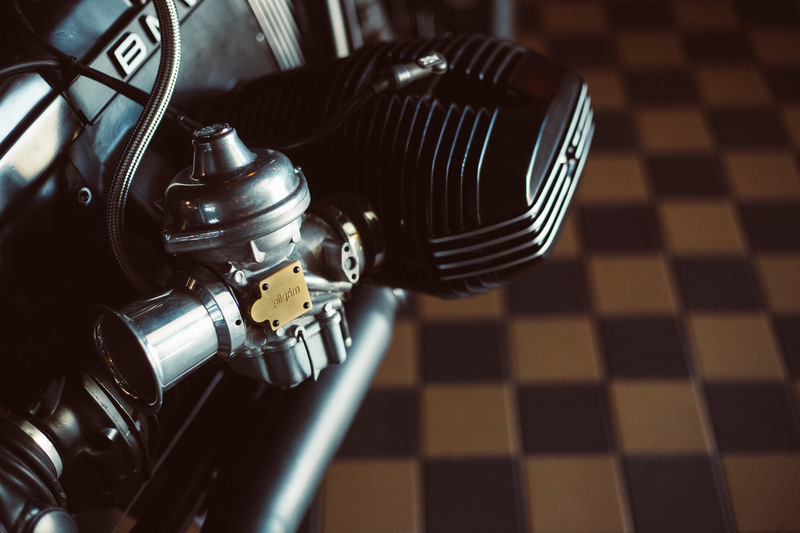 You’ll also see the name of the bike, Pilgrim, etched into a brass cover on the side of each carby, complimented by a pair velocity stacks. The cockpit includes a brass headlight and various aftermarket components such as Moose indicators, speedo, fuel cap, switches, levers, and clip-ons, while the rear has been installed with a Moose indicator and tail light combination. 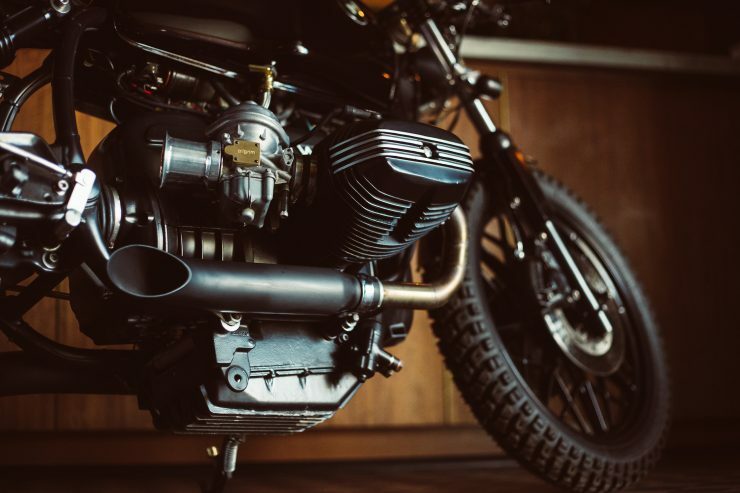 The note of the airhead engine has been enhanced with a pair of slash-cut mufflers fitted to a duo of stainless headers, as the electrics have been boosted with a Motogadget m-unit system. 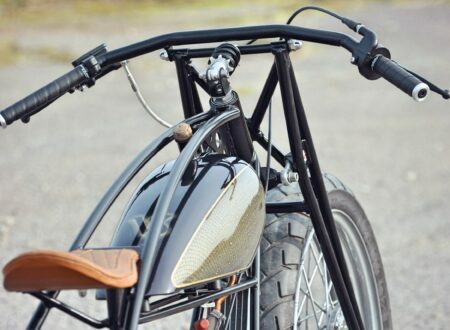 Topping it off, the the former airbox now houses the battery and electrics. 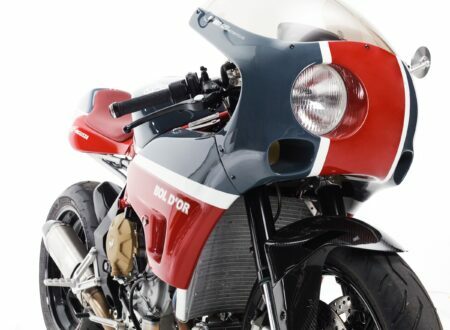 The Beemer has been treated to fresh drop of midnight paintwork, with majority of componentry being blacked out from the frame to the engine, while the tank features a deep, midnight cherry red coat thanks to Diablo Moto. 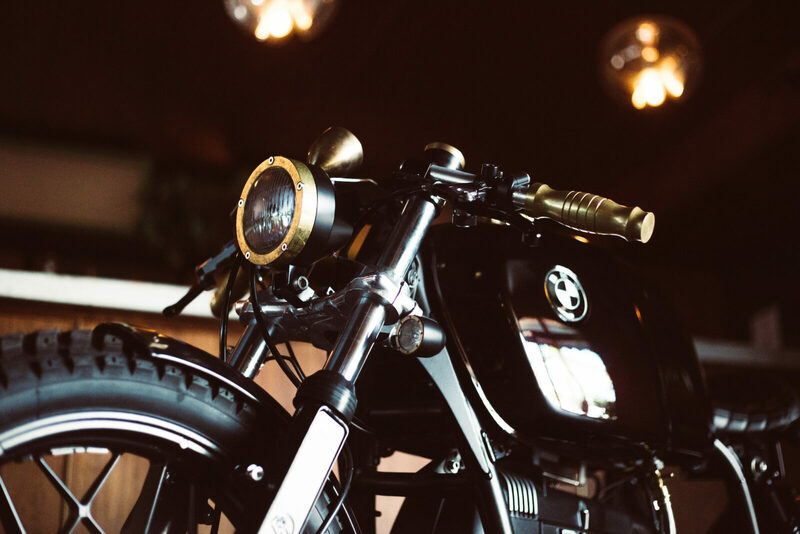 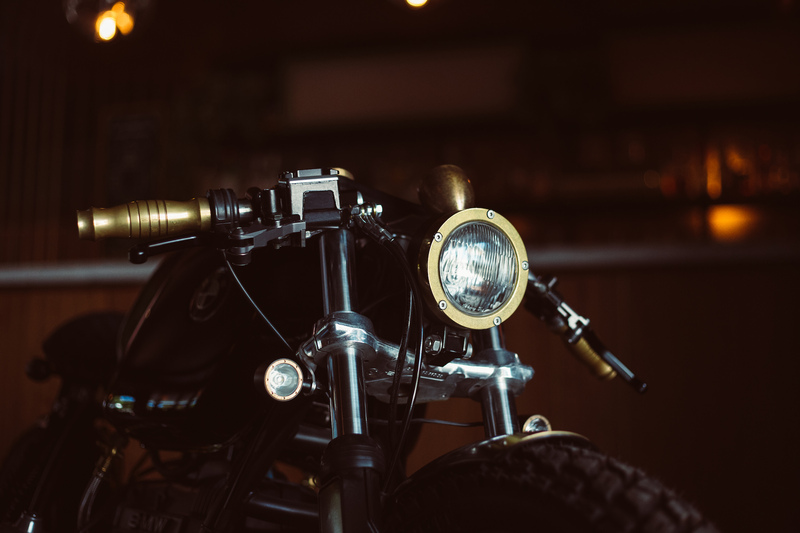 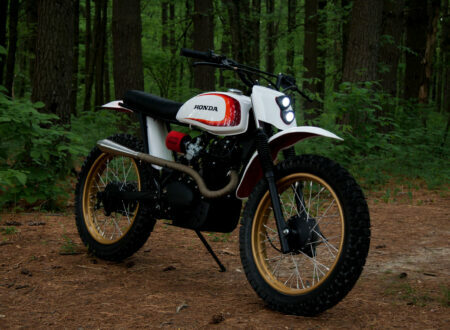 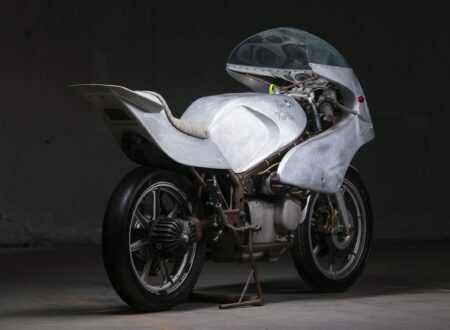 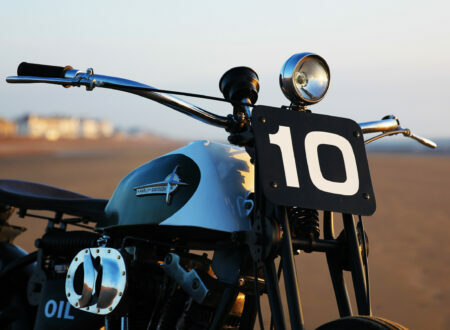 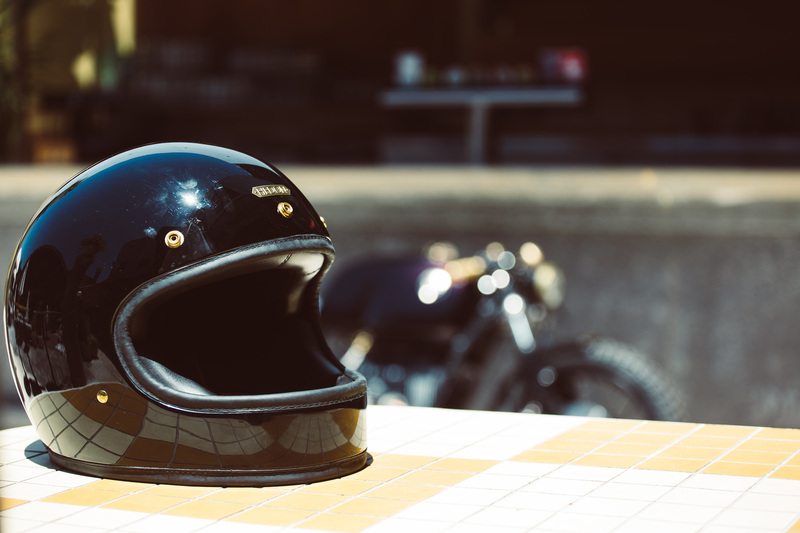 The overall product is a custom motorcycle that balances a fine line of elegance and fear-mongering demeanour. 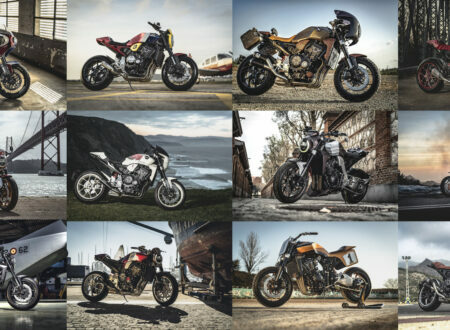 If you’d like to see more from Rogue Motorcycles you can click here.